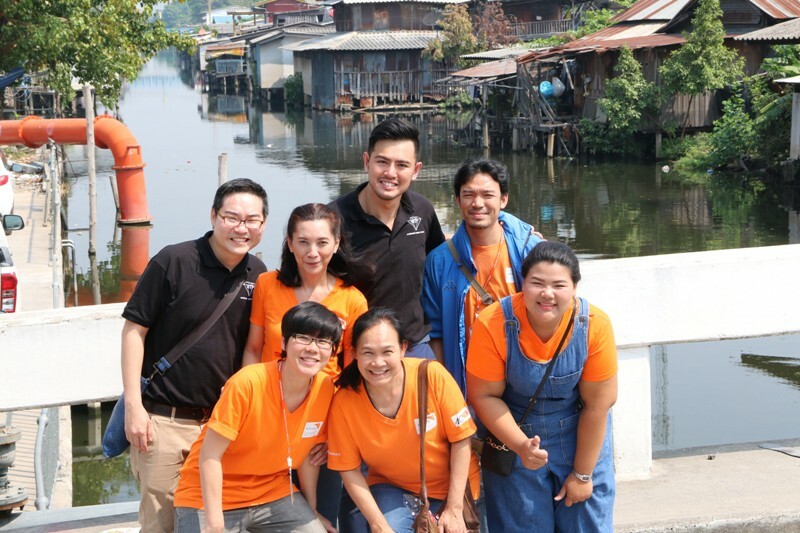 Founder of WardrobeTrendsFashion, Herbert Rafael Sim, and interim CEO, Chia Yew Seng, were in the rural villages of Bangkok, Thailand, spending the week volunteering with World Vision Foundation Thailand (WVFT). Above pictured is, Herbert Sim, alongside with Chalinee ‘Pla’ Riyabut. 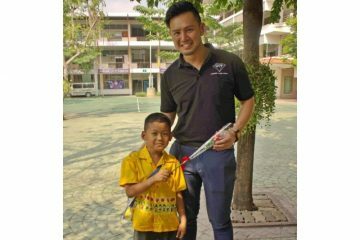 Under the tutelage of World Vision Foundation of Thailand’s (WVFT) Chatuchak project, Pla, the 22 year-old is like a young seed that, has grown into a sapling that is today bursting with freshness, energy and determination. Receiving knowledge, life skills and opportunities to participate in various activities has proven a good nourishment, grooming Pla into a youth who enjoys doing activities, especially volunteer work. She excels in every role and responsibility. No matter where the activity takes place or whatever support is needed, Pla cooperates every time. “I was shy and wasn’t outspoken. WVFT changed my life for the better. Apart from receiving items like school supplies, shoes, socks and uniforms, the most valuable thing that WVFT gave me is knowledge and experiences which I can build on and apply to life,” Pla avers. Most recently Pla represented WVFT at the 5th ASEAN Youth Forum back in May, which belongs to the ‘Asian Development Bank Annual Meeting Yokohama 2017’ held in Japan. The theme focuses on “Youth for Prosperity of Asia and the Pacific”, for which Pla discussed WVFT’s youth empowerment work. She also learned about Sustainable Development Goals (SDGs) as well as exchanged cultures with 130 youths from Asia-Pacific. “The most obvious difference between Thai and foreign youth is the outspokenness in expressing their thoughts and in doing activities. Thai children tend to be shy when asked to give opinions in public. Meanwhile, foreign children express themselves fully to exercise their rights and to reflect their opinions. I thank WVFT for giving me the opportunity.” She adds that this good opportunity has broadened the perspectives of her work with youth. She observed how working together as a network is done at the forum, which inspired her to see it through with WVFT’s youth council. Pla is part of a sweeping force that is bringing development to vulnerable children’s quality of lives in the community. It is certain that these young seedlings will soon grow into big trees with branches that offer shelters, much to the benefits of the country. World Vision Foundation of Thailand (WVFT) focuses on children’s education throughout the country, but what happens after high school? Through the kind support of donors, both individuals and corporations, WVFT implemented ‘Bachelor’s Degree Project’ to provide scholarships for WVFT sponsored children with a desire to pursue and obtain a Bachelor’s degree or in High Vocational Certificate. Click the words in bold above to find out more.